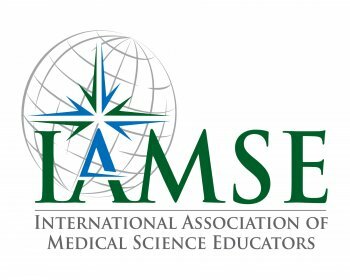 The Public Affairs Committee of the International Association of Medical Science Educators (IAMSE) is pleased to bring you its October, 2018 Report. 1. Catherine Lucey, MD Elected To The National Academy Of Medicine For 2018 Dr. Lucey, Vice-dean for Education, oversees undergraduate, graduate and continuing medical education programs, faculty development, educational research, and instructional ... technology at the UCSF School of Medicine and the Office of Medical Education. 4. M.S., Clinical Research Design and Statistical Analysis, School of Public Health, University of Michigan Information: or contact Fatma Nedjari or call (734) 615-9812. 7. E-Learning—Do Directors Of Education Need An Upgrade? 9. Medical Students Need Academic Coaching. Make The Most Of It. 1. Director Of Assessment, Virginia-Maryland College of Veterinary Medicine (review begins Oct 25, 2018) www.jobs.vt.edu search for posting AP0180314. 2. Learning Resource Center (LRC) Leader, City College of New York (CCNY) campus of the City University of New York (CUNY). 6. Faculty Position, Department of Physiology, University of Oklahoma Health Sciences Center, Oklahoma City Applicants: Electronically submit, in a single PDF format, a cover letter, a curriculum vitae, a description of teaching experience, and a list of at least three references to Robert Blair, Ph.D., robert-blair@ouhsc.edu.